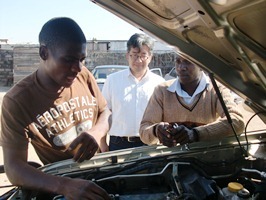 On the way to Lusaka, a belt for the battery was broken and the car's electronic system was gone. The belt was probably fake one. I had to stop in a small garage in a small town where I fixed the belt. I was bit scared.